"We have assisted a great number of people on their deathbeds but we have never seen anything like this." -A nursing Sister from the order of St Camillus de Lellis. Medical opinion was divided about St Gemma’s case, some holding it to be certainly tuberculosis, others after microsopic analysis that it was a new and mys­terious disease, but all were agreed as to the possible danger of infection and the necessity of isolating the sick girl from the family. In carrying into effect this purpose, Father Germano met with strong opposition on the part of the family who had adopted her. "What," they all exclaimed, "shall we let Gemma leave us. God sent her to us, and shall we now allow her to go away? If she must die we will take care of her till the last." "What will become of us if Gemma leaves us," said the eldest son, then a student at the University. "God has always protected and helped us because of the merits of our holy guest." But finally they had to give way, and a middle course was adopted. One of Gemma's aunts rented a small apartment close by with windows facing her adopted home, and on January 24th, 1903, Gemma left the Gianninis for her new quarters. But although her quarters were changed nothing could keep her loving benefactors from her bedside, and even the children managed to elude the vigilance of their parents and ran over to Gemma from whom they could not bear to be separated. Gemma herself felt intense grief at leaving this family by whom she was so much loved and for whom she felt so much .affection, and in particular she felt the parting with her whom she called her second mamma. As she left the house weeping she exclaimed: "This is the second time I have lost my mamma. Viva Gesu! Alone with Jesus only!" Despite the gravity of her condition, for a time Gemma managed to rise each morning and drag herself with great difficulty to the neighbouring church for Holy Communion. Her devoted mamma came each day to take her, bring her back and put her to bed, where she left her to make her thanks­giving. But after two months the fever increased so much that she was unable to move and was obliged to abandon it. She bowed her head and said: " Jesus, Amen!" She was only able to take liquid food and even this she was often unable to retain. 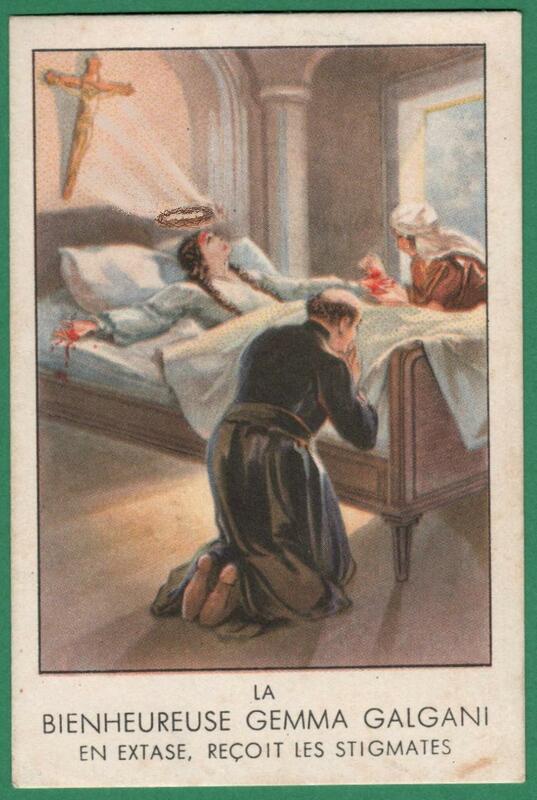 "Poor martyr," wrote Signora Cecilia, "poor victim of Jesus! She suffers without the least re­spite, and feels her very bones being disjointed. She is tortured m every part of her body, and is gradu­ally being dissolved in terrible agony. For the past twenty days she has been unable to see, her voice is so feeble that she can scarcely speak, and it is almost impossible to catch what she tries to say. She has become a mere skeleton, and it fills one with grief to look at her." Yet in spite of it all she never asked for any relief; or ever gave a sign of being wearied or depressed; never asked to be moved or placed in a different position to obtain a little ease. "Never throughout her illness," says Euphemia Giannini "did she ask even for a drop of water." It sometimes happened that she was left the whole night entirely alone, just when she had the greatest need of assistance; but she neither complained nor gave any sign of being troubled at it. In order to prevent this, the Sisters of St Camillo De Lellis were called in, the very community which at one time Gemma had thought of joining. Her consolation during the long sleepless nights was prayer. "Let us pray, sister, let us pray. Do not let us think of anything but Jesus only." And when she could not pray with her lips, she prayed with her heart, as she had been taught to do by Mgr Volpi: "I do exactly as he told me to do." Gemma stated. "The Devil disturbed her imagination with every sort of fantasy, so as to fill her heart with anxiety, sadness, bitterness and fear, in order that he might drive her to despair. He set before her, under its most depressing aspects, the picture of her sorrow­ful life, the misfortunes of her family, her privations of every sort, the coming of the public officer who, on the death of her father, came with his creditors to seize what remained of their home. After all this had passed before her the fiend said: 'This is what you have received for so much labour in the service of God.' Then, making full use of the intense desolation in which the Lord for her greater sancti­fication allowed her to remain, the Devil strove by every artifice to convince her that she was entirely forsaken by God, and would assuredly be damned for having taken the wrong path. "This temptation was by far the most terrible and the most lasting. The poor girl was over­whelmed by it but still hoping to be saved, to remedy her state by a general confession." In the midst of the agitation of mind and con­fusion of ideas in which she was enveloped, she wrote at length the story of her life, declaring she deserved a thousand hells for having deceived alike her confessors, directors and herself. This letter, before being sealed, was read by a third person at her request and sent to a saintly priest well known to Gemma, begging him to come and give her absolution. He came, heard her confession, and reassured her. But the Devil did not leave her long in peace. That which distressed Gemma most of all was the desperate attempts of the evil one to tarnish her virginal purity. Seductive thoughts and imagina­tions were out of the question, for she could not be influenced that way, so he had recourse to appari­tions of ever changing form and open violence. "Father," she wrote "this torment is more than I can bear. 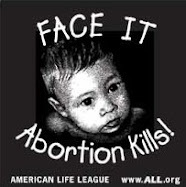 Ask Jesus to change it for me into something else." The religious Sister who was nursing her, said that she could not believe souls in Purgatory could possibly suffer more than Gemma during the last month of her life. Yet in the midst of all her anguish Gemma con­tinued to speak to Jesus as she had done in her days of joy and consolation: "Where are you, Jesus? " she would exclaim after each of these fierce conflicts with the Fiend of Hell. "You know all, Jesus, You see my heart. You know, Jesus I am wholly Yours, all my body and soul. Let me suffer--yes, but I desire to be wholly Yours; I want to be in heaven with You." One day, hearing Gemma speaking thus, the nursing sister said to her: "If Jesus left you to choose, what would you choose? --To go at once to heaven and escape all this suffering, or to remain here and suffer since that would be for His greater glory?" And Gemma instantly replied: "It is better to suffer than to go to heaven, when it means suffering for Jesus and giving glory to Him." In the midst of her distress she would exclaim: "Oh, Jesus, how many sins? Do you not see them, Jesus, but Your mercy is infinite. You have for­given me so many times, so forgive me once again." She showed the greatest gratitude towards the sisters who were nursing her. One day, hearing her earthly "Mamma", Cecilia Giannini say to the Superior: "I certainly shall not fail to reward you for all you are doing." Gemma suddenly exclaimed: "No, no, I shall see to the sisters with Jesus." One of the Giannini family who was helping to nurse Gemma wrote: "I came away from our Gemma in tears, because the Devil is wearing her out, and the wretch will surely cause her death. We help her by sprinkling holy water in the room; then for a moment the disturbances cease, but only to begin again a little later on, even worse than before." The Devil was not satisfied in tormenting her soul but assailed her body also. Her incapacity to retain food had diminished somewhat, so they be­gan to give her a little nourishment. But no sooner had they brought it than the Devil caused the food to appear as if covered with loathsome insects, and they had to take it away. Horrible animals of hideous shapes came into her bed and crept over her body, so that the poor girl could get no relief. On more than one occasion, full of terror, she called the sister and said she felt a serpent coiling itself around her from head to foot, and striving to crush her in its coils. She implored repeatedly that she might be exorcised, and as she was not heard, tried to say the exorcism herself and turning towards the enemy exclaimed in a resolute tone: "Wicked spirit, I command you to depart hence to the place destined for you, if not I shall accuse you before God." And then she turned to the Blessed Virgin: "Oh Mamma, I am in the hands of the Devil, who torments me and strives to drag me from Jesus. No, no, no, do not abandon me, Mamma. I will be good. Pray for me. I am alone at night, terrified, oppressed, and as it were bound in all the powers of my soul, with all my bodily senses helpless. Jesus my life, Jesus, all for Jesus! Jesus only! " 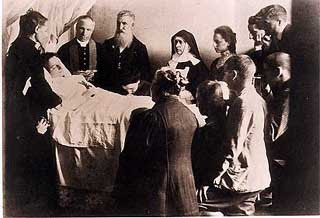 It was only a few days before her death that she wrote her last letter to the Blessed Virgin, when her mind had begun to wander under the persistent action of the burning fever which was consuming her. "My Mamma (forgive me this word)," she writes “My Mamma, my feeble resistance continues in this life of conflict, but I am content. Between my hopes and my fears I abandon myself to God. "Yet notwithstanding those words, I lose courage and weep. I am so ungrateful to Jesus and Mary. I was the same in the world to papa and mamma. How patiently they put up with me. My God, what will You do? Cast me off at the end? No, no, Jesus, do not abandon me. I will be good. "Forgive me this word 'Mamma.' I do not know how but it rises spontaneously from my lips. Oh my Mamma. Viva Gesu!, Viva Maria! Jesus quickly and holily You will vanquish me with your holy love, the most ungrateful of your creatures. "Pray for me, tell Jesus that I will be good and obedient, but I want to go to Heaven quickly if it pleases Him." There is a P.S. from Gemma addressed to Father Germano: "Implore Jesus to take me with Him to heaven. I can no longer stay in the world. I am in my aunt's house, but I am contented and tranquil." The last days of Lent ran their rapid course and the Wednesday of Holy Week had come. 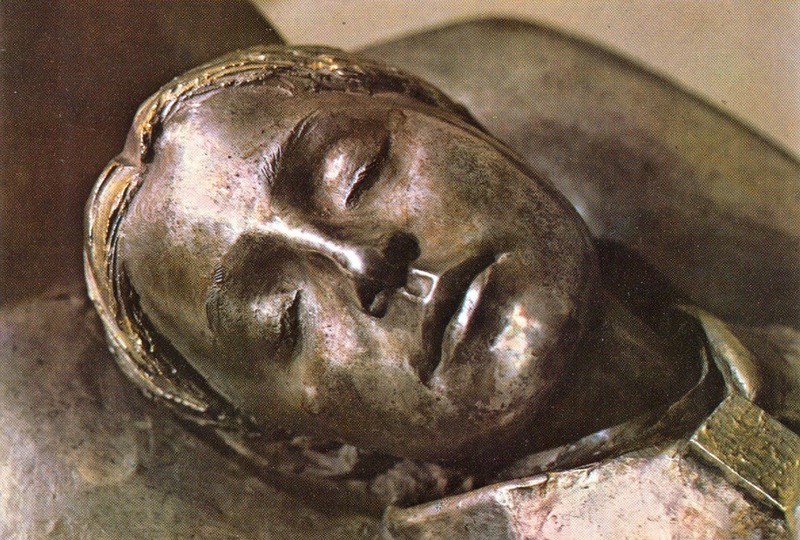 The strife was well nigh over, the fell disease had done its work, and the pallor of death had already over­spread the face of Gemma as she lay there helpless on her bed of pain. "Oh, Sister, if only you could see the smallest particle of that which Jesus has shown me, how you would rejoice." And the Sister remarked that as she said this, her whole face became transfigured. She received the Holy Viaticum [Eucharist] with great devotion the same day, and the day following, Holy Thursday, she desired to receive Jesus again, and as the priests hesitated to give Communion again by way of Viaticum, she willingly kept the fast, notwithstanding the burning fever which consumed her. 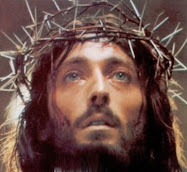 For two hours she remained absorbed in prayer and towards the end of the time fell into ecstasy during which she saw a crown of thorns and exclaimed: "Before all is over how much I must suffer." And turning to the Sister she added, "what a day tomorrow will be!" (Good Friday). Good Friday dawned. About ten o'clock Signora Cecilia, feeling exhausted with fatigue and want of sleep, wanted to go home to take a little rest. The dying girl said to her: "Do not leave me until I am nailed to the cross. I must be crucified with Jesus! Jesus has told me that His children must be crucified." The good Signora Cecilia remained, and shortly afterwards Gemma entered into ecstasy, gradually she extended her arms, and thus remained until half-past one. Her countenance showed sorrow and love, calmness and desolation all blended into one. She did not utter a word, but her silence spoke more eloquently than words. Those who stood about her gazed upon the scene with awe, as although they had often seen Gemma in ecstasy before there was something about this occasion that made it unlike all the others. One of those present, writing to Father Germano, said: "Look at Jesus dying on the Cross, that is exactly how Gemma appeared during those moments." She continued in the agony of death all through the night, suffering the most terrible pain alike in body and in soul. Towards eight o'clock on Holy Saturday morning, the priest came to anoint her. She received the Sacrament with great devotion, endeavoring to answer the prayers as far as her feeble voice allowed her. Having completed the sacred rite the priest left immediately. Gemma had always cherished the wish that she might die on a great feast day of the Church and on one occasion remarked to Signora Cecilia: "I have asked Jesus to let me die on a great solemnity. It would be so lovely to die on a great feast day." Jesus granted her desire to the full, for she died on His own great Feast Day, Holy Saturday, for it was just as the bells had rung out their joyous peal in honour of the Saviour's Resurrection that Gemma's soul re­leased from the body of this death sped from the shadow of earth to the splendid glory of heaven, there to keep the heavenly Easter which shall never pass away. Gemma was to be crucified with Jesus, and to partake of all the bitterness and desolation of Cal­vary, all the darkness, the sense of abandonment by earth and heaven, which He experienced, she also was to share. In the moment of her supremest need she was abandoned by her confessors and spiritual directors, even by the one who, having guided her from her earliest childhood, could have best helped her in those last moments when she had such need of aid. 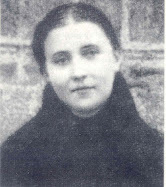 Even her beloved spiritual director Father Germano, who was away in Rome, failed somehow to realize that the end was close at hand, and so never thought of going to see her or even of writing a letter to console her in her sufferings. Thus Gemma was left to suffer alone. God so willed it, willed that she should face the last conflict alone, with only a few faithful women to stand by her in her last agony. Indeed, when the end appeared imminent, a telegram had been made ready asking Father Germano to come at once, but Gemma, knowing by an interior light that God willed also the sacrifice of this consolation, would not have it sent, saying: "I seek nothing more. I have made the sacrifice of everything and everyone to God. Now I prepare to die. Father Germano will come after Easter." As, in fact, he did. The day wore on, and Gemma wished Mgr Volpi to come and perform the exorcisms, because she saw the Devil under the form of a ferocious black dog, close to her. Signora Cecilia saw the Monsig­nore and told him Gemma was expecting him. "Tell her," he said, "if it is for confession I will come, but if it is to assist her in her agony, it is impossible. There are the curates." The reply seems harsh, but it is true that Holy Saturday was an exceptionally full day for him. When Signora Cecilia gave Mgr Volpi's message to Gemma she took her crucifix in both hands and, holding it be­fore her, said: "You see, Jesus, that now I really can do no more! If it is Your will, take me." And raising her eyes to a picture of the Madonna on the wall, she added: "My Mother...I commend my soul to You. Tell Jesus to be merciful towards me." She kissed the crucifix, placed it on her breast with her hands crossed over it, and with eyes closed remained motionless. In fact, towards mid-day, after the solemn ceremonies were over, Mgr Volpi did pay a hasty visit, gave her a blessing and asked if she was satis­fied. Gemma answered "No! ", that she wished for the real exorcism. "I must go to wish the Arch­bishop a happy Easter," replied Mgr Volpi. "I will come back and see you later on." But he was not to see her again, as Gemma passed away shortly after his departure. Mgr Volpi, speaking of this visit, says: "I found her in great suffering, both physically and spiritually; but perfectly resigned. I gave her absolution, and left her in a very sad state, but in perfect quiet of spirit." Gemma's last moments were rapidly approaching, and Signora Cecilia ran to call the parish priest, Abbot Angeli of the Canons Regular of the Lateran, and then rushed to the Gianninis, where the family was at dinner. "Gemma is dying," she exclaimed. The whole family, young and old, rose at once and hastened to the house of the dying girl. "Jesus, I commend my poor soul to You." They were the last words she uttered. For half an hour she remained seated on her bed, her head resting on the shoulder of Signora Giustina. Her young friend, the sharer of her most intimate secrets, Euphemia Giannini [who later became Sister Gemma, in honor of her great friend], was kneeling before her, like the Magdalene at the feet of the dying Christ, with head inclined and pressing Gemma's hand to her breast. Around were grouped all the members of the family and the nursing sister. All at once, while all eyes were fixed on her angelic face, still beautiful despite the ravages of her long illness, a heavenly smile played about her lips, and letting her head fall gently to one side she ceased to breathe. Just as it is said of Jesus in the Gospel, ‘Et inclinato capite tradidit spiritum’. The priest, who was reciting the last prayers, could not believe she was dead. "I have been present at many death-beds," he said, "but never have I seen one die like this without even a sigh. She died with a smile, which remained upon her lips, so that I could not convince myself that she was really dead." It was exactly one hour after mid-day (1:00PM) of Holy Saturday, April 11th, 1903. 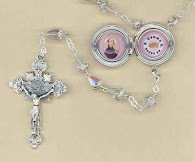 The Sisters took charge of her body, and at the suggestion of one who well knew her ardent longing to be a Passionist, they clothed her in brown, placed the Rosary round her neck, and the badge of the Passion on her breast. They put a crown of flowers about her head and joined her hands on her breast as she used to hold them when in ecstasy. As the news of her death became noised abroad, what a concourse came to weep and pray beside her. Old and young, priests and people, all knelt before her, invoking her as a saint, kissing her hands, asking for relics, and touching her with their rosaries and medals. Amongst these was the holy priest to whom Gemma had written her general confession, who, filled with reverence at the sight of her, fell on his knees saying aloud: "Gemma, you have at your feet a great sinner. Please pray for him." "Gemma Galgani, of Lucca. 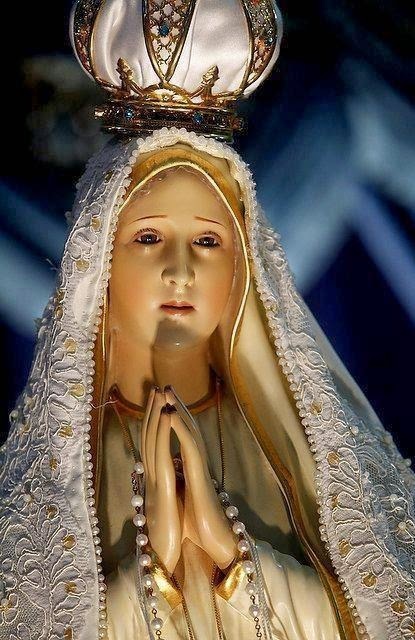 Most innocent virgin who consumed rather by the fire of divine love than by disease, in the twenty-fifth year of her age, went forth to her heavenly Espousals on the Eleventh of April, 1903, being the Vigil of Our Lord's Resurrection. Peace be to you sweet soul with the angels." Happy feastday Saint Gemma (Friday April 11)---pray for us sinners! Beautiful Gemma, intercede for me to our dear Lord and Savior. Remembering you especially today being your feast day. You suffered so much for sinners during your short life. You lived your life solely for Jesus and with Jesus. Remember us who pray to you for your assistance from heaven. May many turn to Him during this lent and may you be with all those we bring to your attention for spiritual and physical healing. Bless us St Gemma. Love you and pray to you always. One could only hope to die such an edifying death. Therefore one should aspire to live an edifying life, as a witness to our love of Jesus. You, Lord know what I would ask, but as it is, I give You what YOU ask as that is all I am capable of. May you forgive me my sins and strengthen me in my faults to live a decent life. 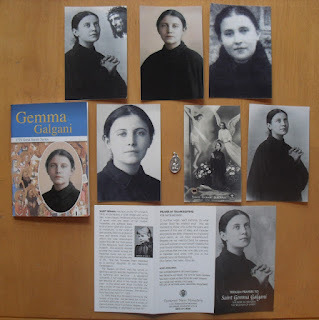 Please Saint Gemma,Pray for me and for the souls i wear in my prayers and my heart. Please ask Mamma to help me to save my soul thanks to the infinite Divine Mercy of Jesus! 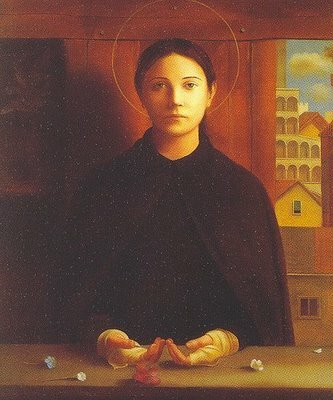 Dear sweet amazing Saint Gemma, thank you for coming in my life. I love you and your purity. Please intercede for my son Andreas (you know what he needs) and also for my middle school students whose souls I want to save for Jesus. Saint Gemma help me, help all of us in this present topsy turvy time! Oh my Jesus I too want to be on the cross with you, as puny as I am, for with You all things are possible! St. Gemma, pray for us, especially for my children who have strayed away from the Lord and the church. Please pray that they will come back. St. Gemma please pray for me a pitiful sinner. The Lord tells you of my sins and need for your prayers. Please intercede for me! Happy feast day dear Gemma! Dear Sweet and Holy St. Gemma, please pray for my children and grandchildren. My child is in such need of being touched by Jesus. I myself am taking my grandchildren to Mass and Religious Ed, and sort of overseeing their prayer lives as much as possible. Satan is battling our families with tremendous power, but with Jesus' help and grace we will win the battle. Please St. Gemma, ask Jesus to help us and have mercy on us!! Sweet Gemma, Holy Saint of God, please pray for my family. Pray for my heart to love Christ as yours did. I love you. St. Gemma, pray for us..
heart your love of Christ. St. Gemma pray for us sinners. Blessed be God in you. Please pray for me a poor sinner to God to have mercy on me, forgive my sins and give me the grace to love Him more and more each day. I want to love Jesus as you did. Please pray that I like you become a saint , if it is the will of God. Please pray for my children Robert and Julia for healing and salvation of their souls. Please pray for Robert and Julia to have a good year in school and peaceful year at home. And when our lives our done may we all die a happy death, in God's mercy! Thank you Gemma, in Jesus name I pray! Please obtain for me a heartfelt contrition for my mercenary love which negates the genuine Love of Jesus for me and a horror for all my affronts and ill-will against the Infinite Goodness of our Father in heaven. And with a holy fear of displeasing Him, help me to be steadfastly faithful to Jesus with a limitless Yes to His Love; so like you, I lovingly participate in the redemptive work of the Holy Trinity and my sole delight is in the Glory of our Father and in the salvation of souls. Help me to have no other desire but to unite myself to the terrible pains of the Merciful Heart of Jesus; and with my heart inebriated with His Precious Blood, my sole consolation is for my soul to feed itself with the Bread of His Sufferings. a beholden, poor child of our Father.